Ms. Nasser's Art Studio: 3rd Grade Leaf Prints = Crowd Pleaser! 3rd grade artists have been exploring one of my favorite mediums, printmaking! such as a foot print or a hand print, or a stamp. Printmaking is anything where you transfer an image from one surface (the printing plate) to another. 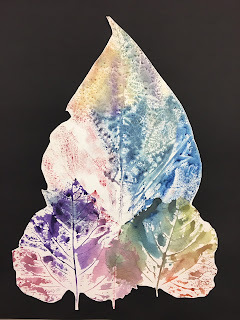 These prints are so easy and the students loved them. 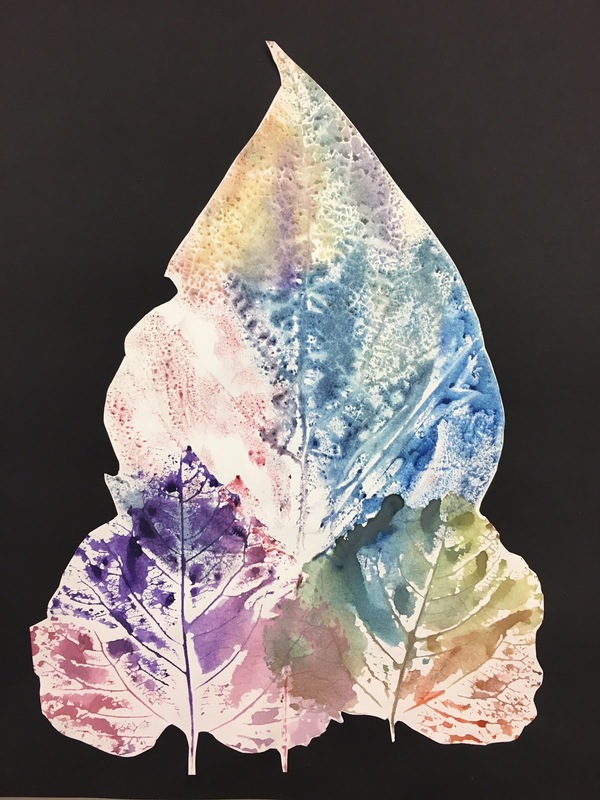 They simply painted on the surface of leaf with water colors. The trick is to get the right balance of water to color. 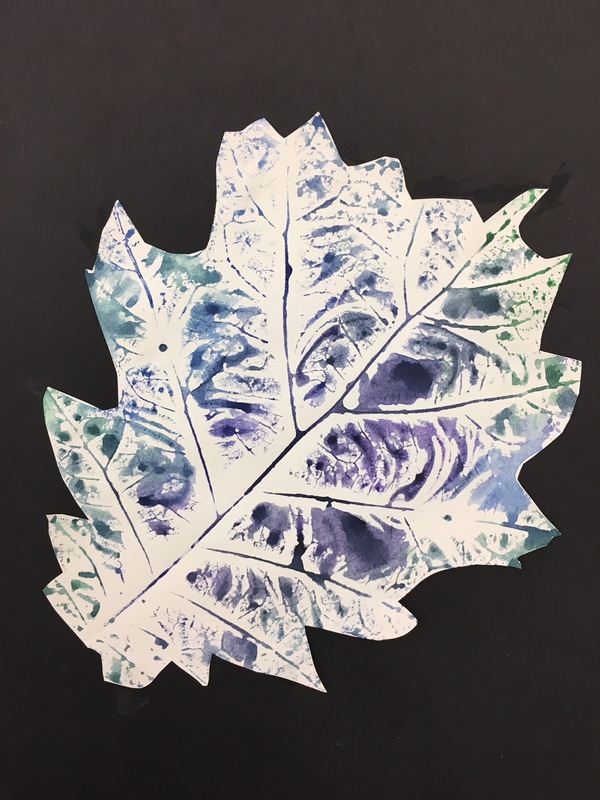 Then students transferred the print by placing paper over the painted leaf and rubbing. 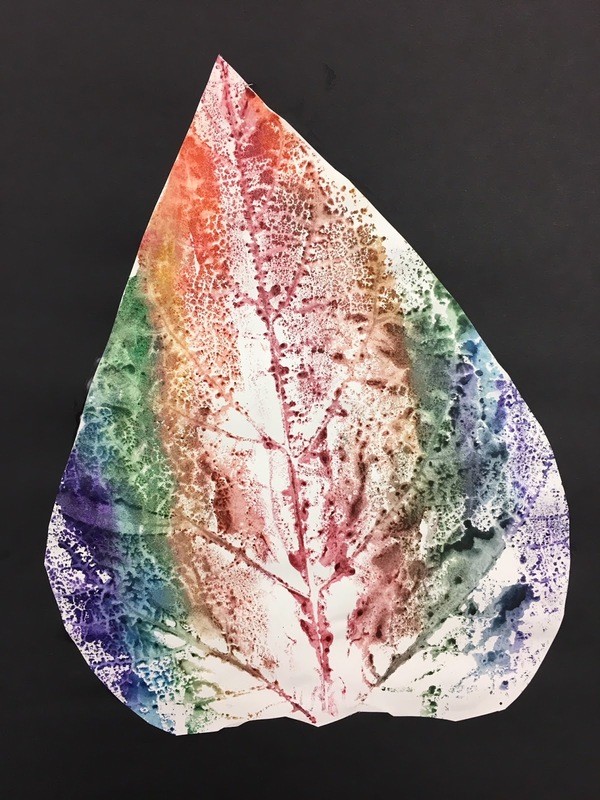 You can see 3rd grader, Emma D. demonstrate the process here. 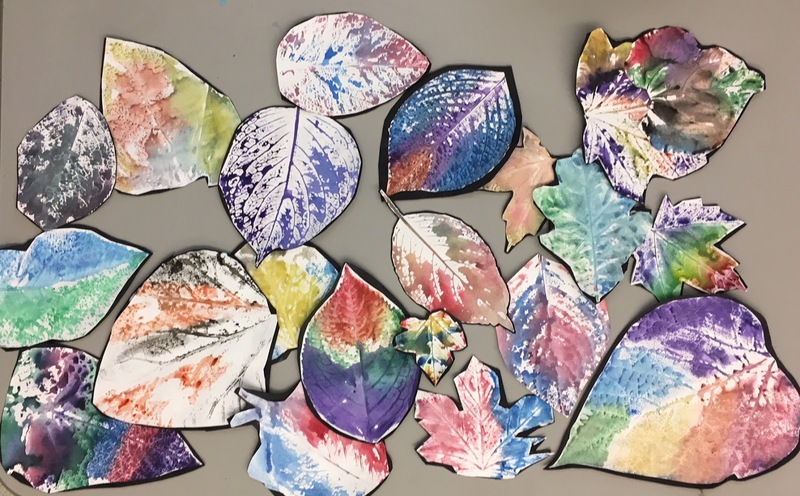 Students' prepared their leaves for a group display and also created a finished composition. Stop by and see our group display in the Howe Manning Lobby! 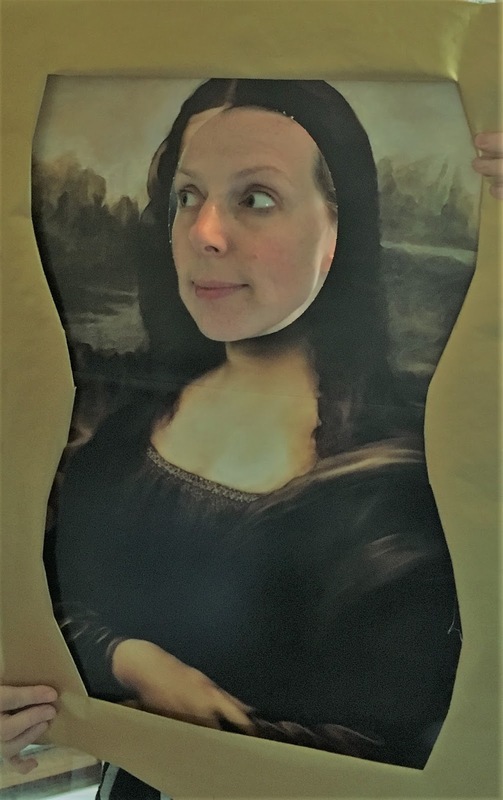 What other things could you use to print?